The ‘Mayfair’ pocketfold wedding invitation comes with a beautiful square/diamond diamante brooch. The pocketfold here is 5x7in (178mmx128mm) and available in a range of matt or metallic colours. It is also available as a DL (100x210mm) or square size (150x150mm). Add RSVP, or insert cards with gift list, directions or accommodation information for your guests. It is also available in a flat style, with 2 card layers, if you do not require a pocketfold. 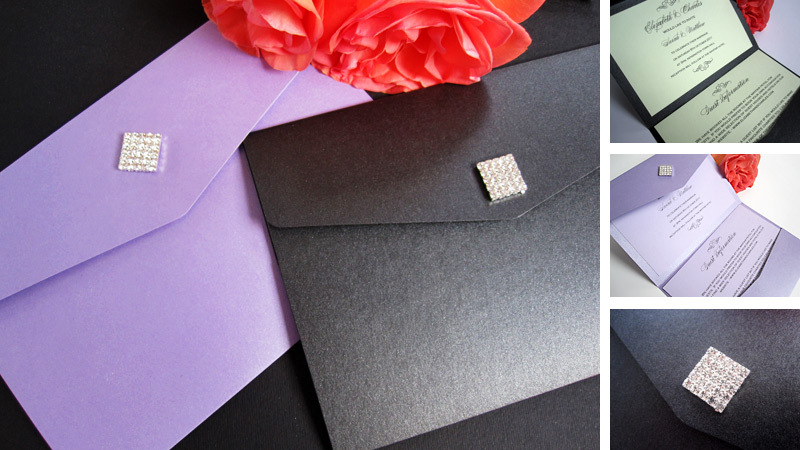 The invitation can be adapted to your preferred style and is available in many different colourways, as are the invitation/insert cards. Choose your own font and ink colour to compliment your chosen design. Add ribbon as optional extras. 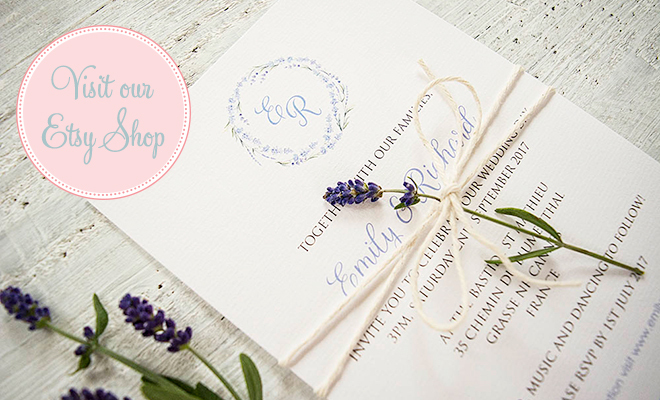 The wedding invitation includes an unlined envelope in white or ivory.